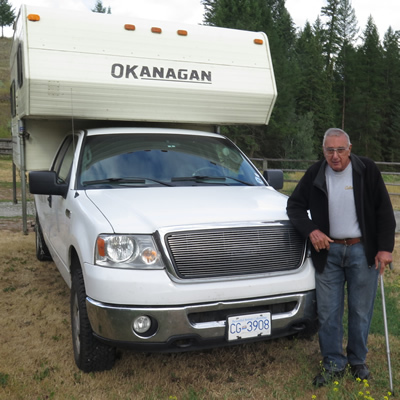 After visiting the dinosaurs in Drumheller, Alberta, the Cragg family headed for Silverwood Theme Park in Idaho. 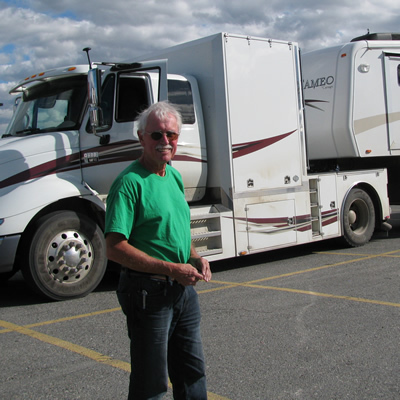 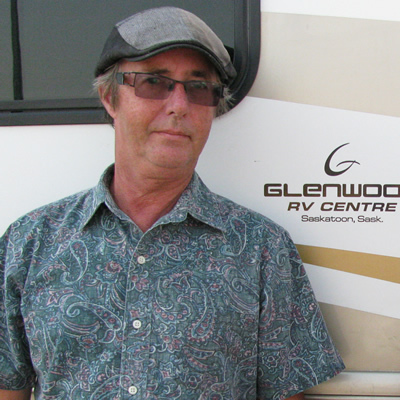 His truck camper gives Vic Gill the mobility, comfort and independence he appreciates. 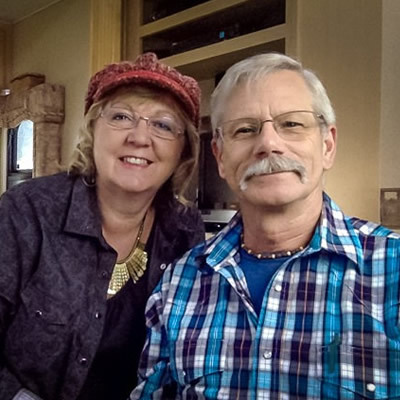 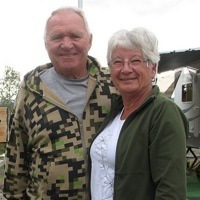 Fond memories and love of the area have kept Larry and Lorraine Layden coming back to Fairmont Hot Springs Resort for decades. 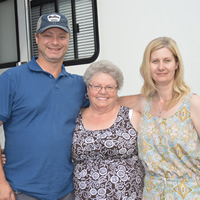 A holiday at Fairmont Hot Springs is a little bit of heaven for this family. 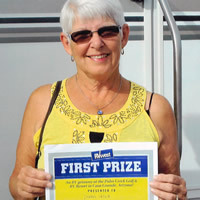 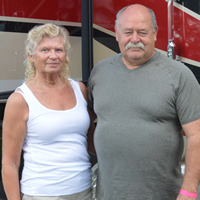 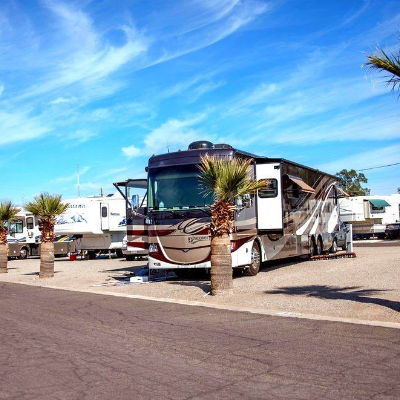 When Donna Leslie won a month-long stay in Casa Grande she received a wonderful getaway to spend with her husband in their RV. 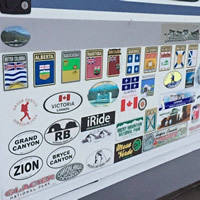 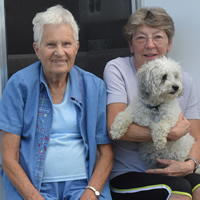 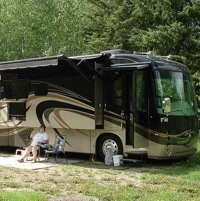 Rick and Grace Christian love RVing at the spot where the Pembina and the Athabasca rivers converge. 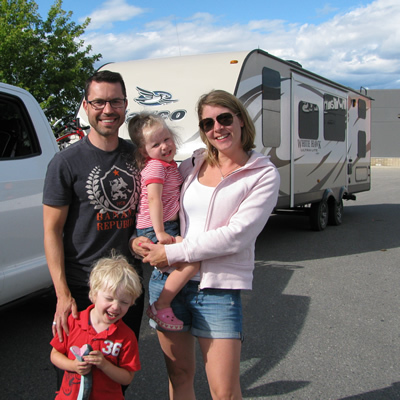 The Mazurenko family from Calgary, Alberta, is creating a summer tradition of camping at Lake Windermere in B.C. 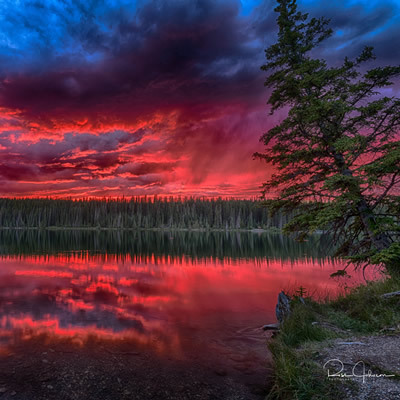 's Columbia Valley. 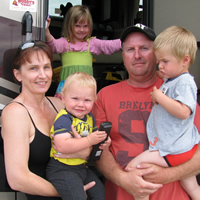 RVing allows the Martin family to escape the pressures of owning their own business.